I am the President of TASC Management Consulting. My expertise is organization change management. I received my BA in Psychology, with an emphasis on Applied Behavior Analysis, from St. Cloud State University in Minnesota and then went on to earn my MA in Psychology from Western Michigan University, specializing in Organizational Behavior Management and Applied Behavior Analysis. 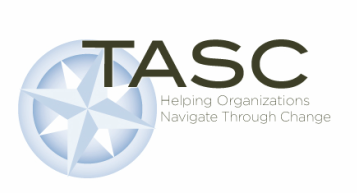 I founded TASC Management Consulting, LLC in 2001, and have been consulting in the field of organizational change and performance improvement since 1996. I think I have made most every mistake you can when it comes to managing change... you can benefit from my learning and experience. I'm often asked about my approach and methodology to consulting and managing change. I would have to say that it is practical and pragmatic. Yes... there are numerous approaches to managing change, however - I believe that you should never substitute process for thought! I enjoy working with all levels in organizations. I am passionate about helping people and organizations navigating their most difficult changes. One of my consulting goals is to leave behind knowledge and tools so that your team gains experience in managing change. I participate in national and local professional organizations and served on the American Society for Training & Development (now ATD) board as chapter President in 2006.